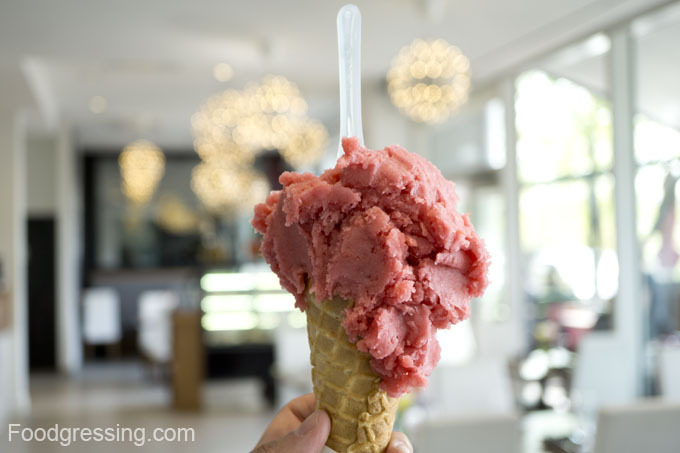 Gelato is simply awesomeness. That is how I see it. 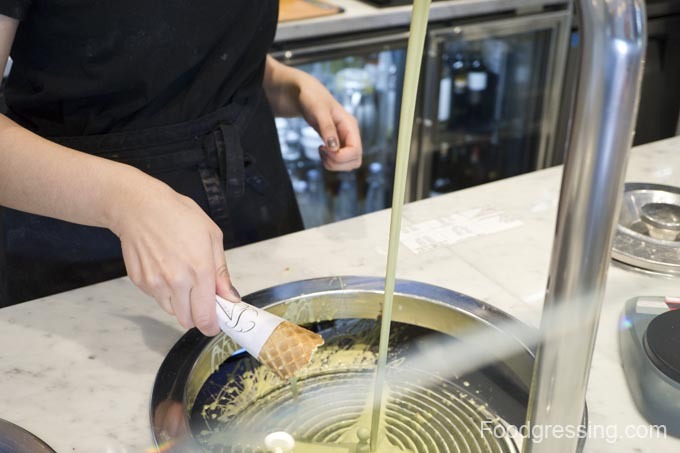 Bella Gelateria is world-renowned for their gelato, and lines of tourists and locals can often be seen at their first store in Coal Harbour. 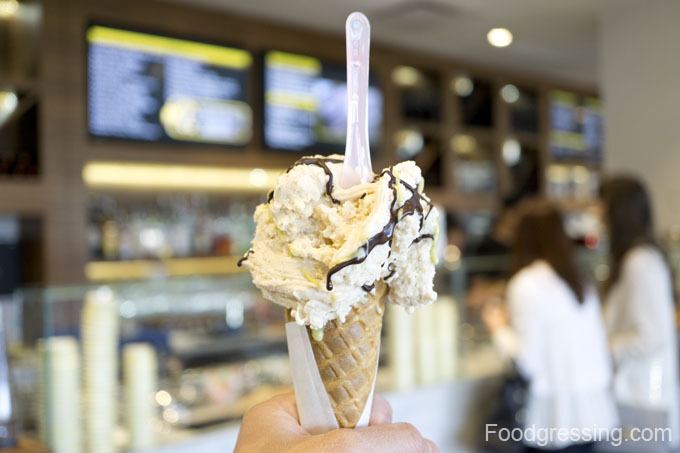 Bella Gelateria in Yaletown opened last summer, and is a great place to pop by for some refreshing gelato. 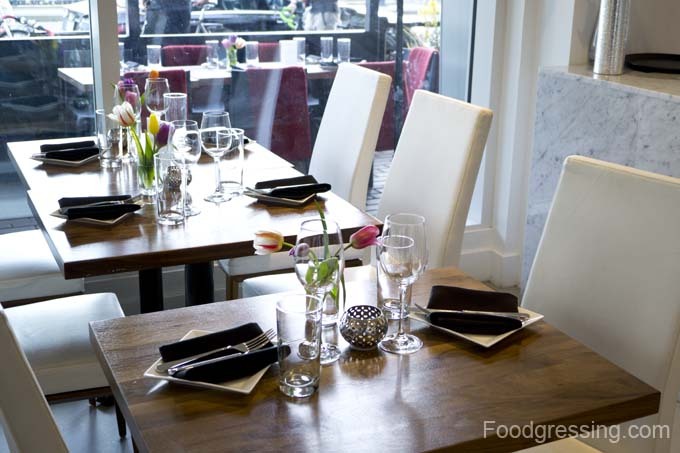 It is also a 80-seat restaurant serving Italian cuisine, featuring Napoletana-style pizzas. 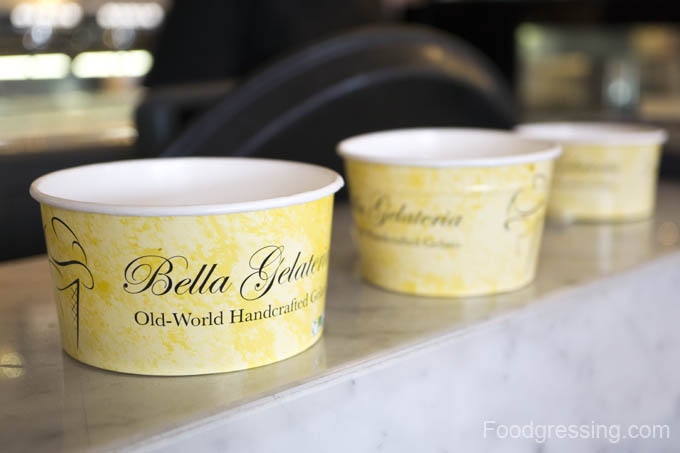 Gelato cups range from $5.50 – $8 depending on number of flavours, while cones range from $6.75 – $9.25. 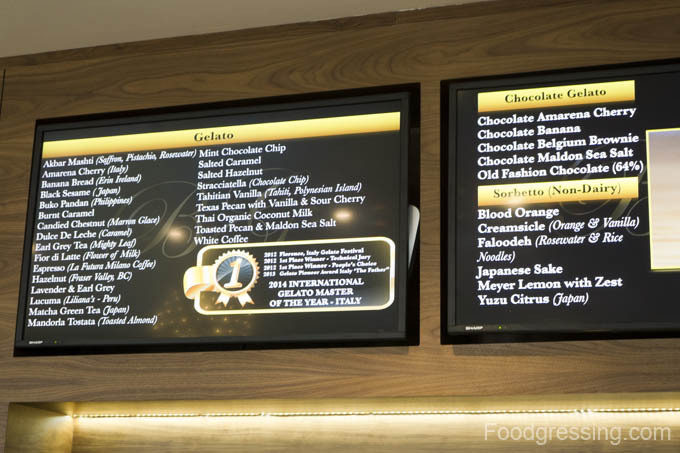 They have a decent selection of handcrafted gelato flavours, chocolate gelato and sorbetto. From Lavender and Earl Grey to Japanese Sake, there is something for everyone. For my gelato fix, I had the salted caramel cone. Their matcha white chocolate fountain was in full swing, and I was very excited to see the matcha white chocolate line the inside of the cone. As for the salted caramel gelato, it was heavenly. It was smooth in texture, rich in flavour and not overly sweet. On a very warm Sunday evening, the gelato helped me to cool off. On a different visit, the blood orange sorbeto in a cone. It was a nice non-dairy option with it being icy and light. 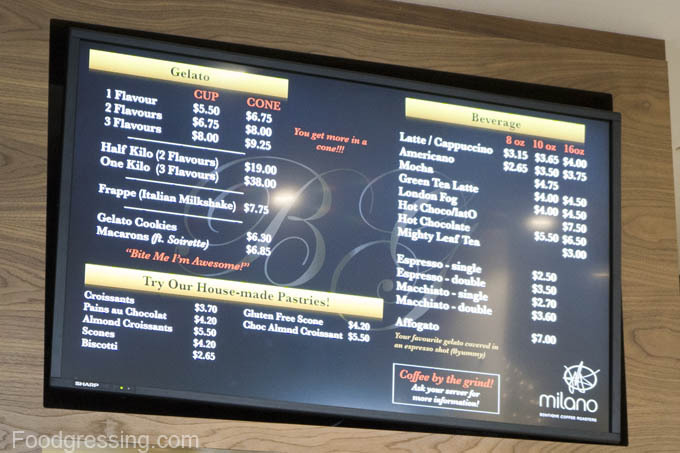 There are still a lot of items on their menu that I would love to try. As for the gelato, I will keep checking off the flavours that I have tried one by one. 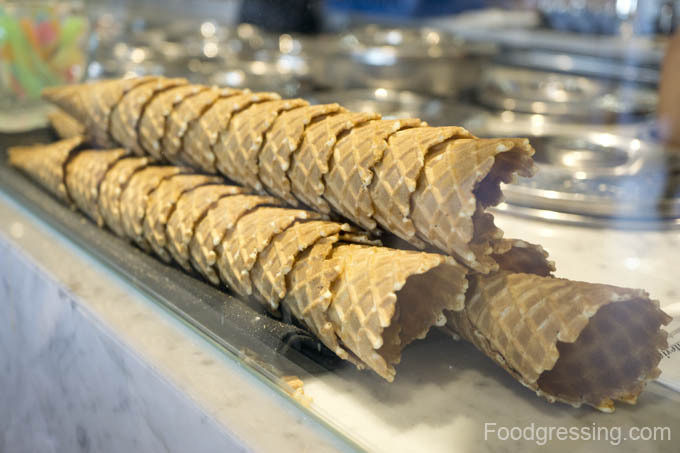 Next time I take a walk along False Creek, I’ll be sure to grab a gelato cone from Bella Gelateria with me.